Changing lanes or taking a turn without using a signal can be a dangerous mistake that may lead to a fatal accident. Under Florida Law, a person who is operating a vehicle, must use a turn signal, at anytime the driver makes a lane change or takes a turn. There are no exceptions to this rule! It may seem to you that such an offense is minor. You get points on your license, pay the fine, and are free to go. The bigger issue here is that your insurance provider will take advantage of the fact that you have received points on your license, and will likely increase your insurance rates! This can cost you in the long run. Having points on your license for a traffic violation will always result in increased insurance rates for you. Do you really want to live with a negative driving record and let insurance companies take advantage of you? Call us at (407) 228-3838 for your free consultation with a Traffic Violation Attorney at The Umansky Law Firm. The violation of not using a turn signal is a non criminal infraction; however you can receive a maximum of 3 points against your license and a maximum fine of $150.00. You can also face a mandatory traffic school class or in rare cases a license suspension. 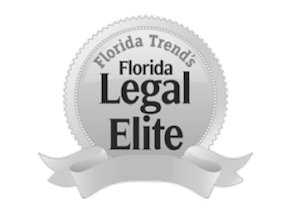 When choosing a lawyer in Orlando or Orange County, it is best to choose one closest to the jurisdiction where the ticket was received. If you were driving and you received a citation for not using a turn signal in Orlando or anywhere in Orange County, contact a Traffic Violation Attorney at The Umansky Law Firm . Our Orlando traffic lawyers have experience with this type of case. Call (407) 228-3838 Today!